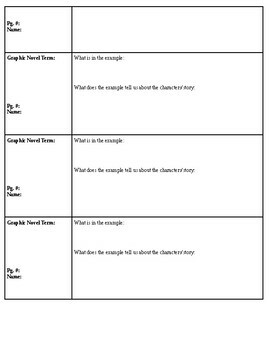 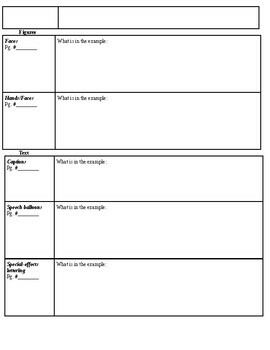 This graphic organizer allows students to connect graphic novel terms and concepts to the graphic novel that the students are using. 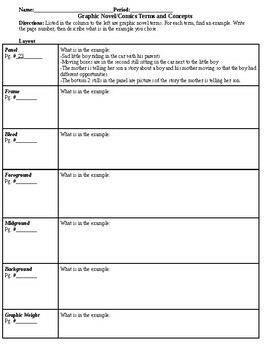 The students will find examples of the term, and describe how that example is an example of the term listed. 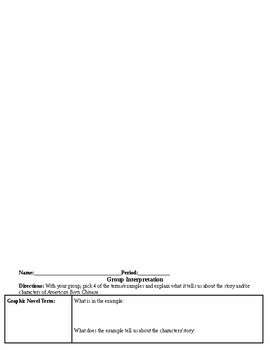 The Group Interpretation organizer can be used as a small group assessment for students to choose their best example from the Terms organizer.